Pretty much every year at Christmas, I dutifully pack my skates into my bags, and bring them back to Ontario with me in the hopes that the weather will be cold enough that we can go skating outdoors. And almost every year, I end up disappointed, as the weather fails to cooperate and there is no ice to be found. This year, it seemed like there was a good chance that there would be a lot of snow, and that the chance for good ice looked promising. So Justine and I packed up our winter cloths for the trip. It ended up being a great idea. 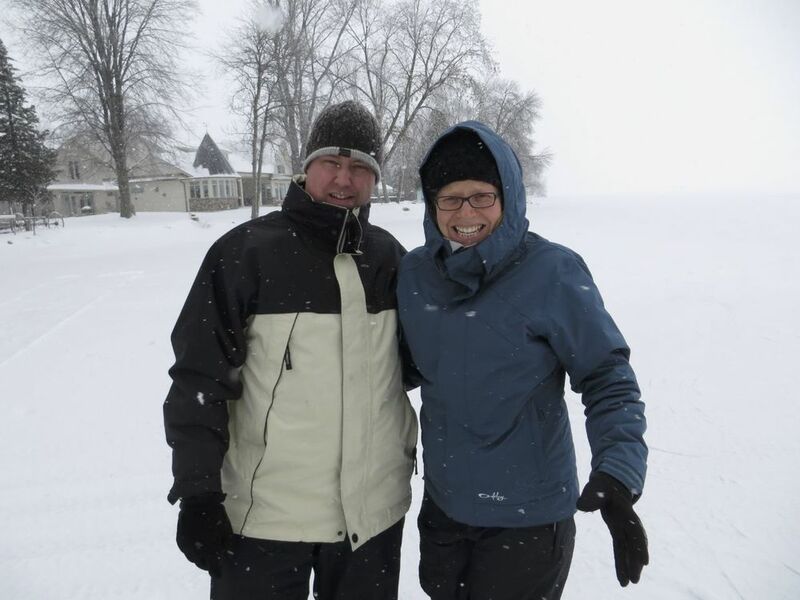 Justine and I out on Lake Simcoe in the snow. 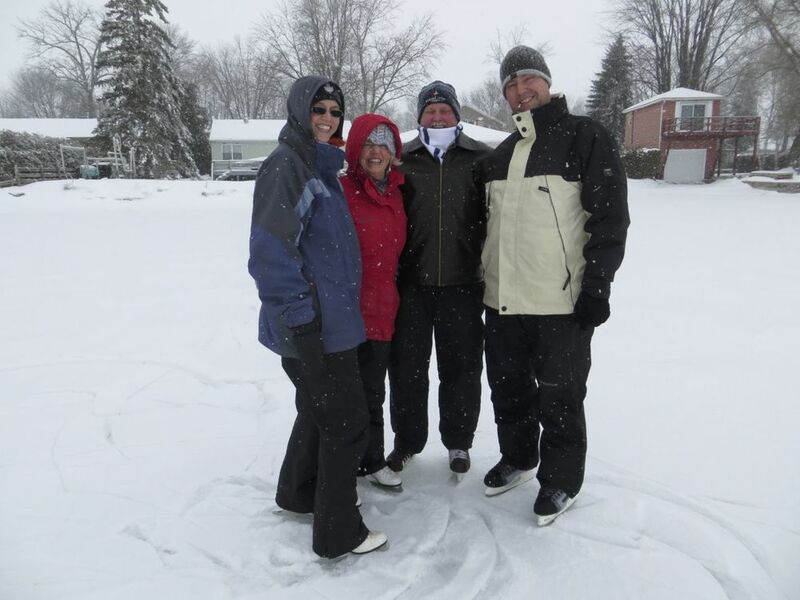 For the last few years, our Christmas tradition has morphed a little bit, and we do Christmas Day up at my sister Lisa's house, which is near Pefferlaw on Lake Simcoe. 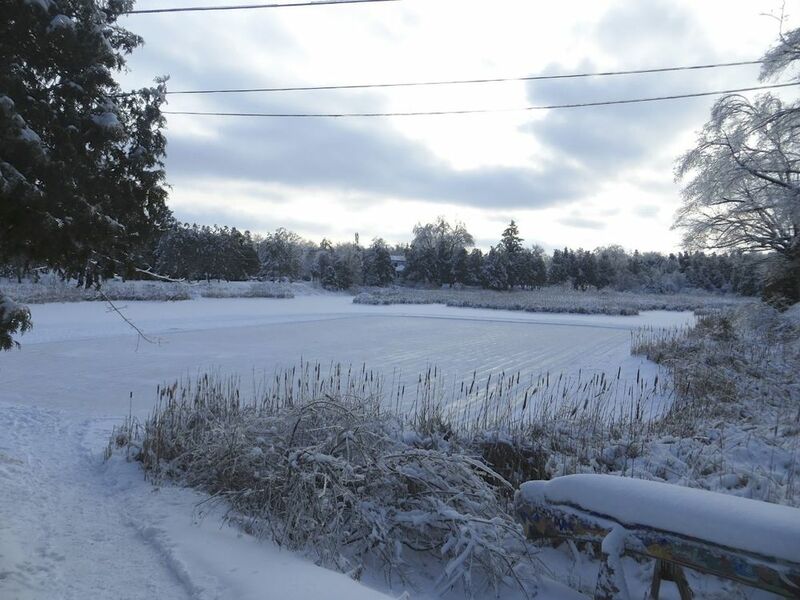 With the cold weather in Ontario this year, the ice looks promising. 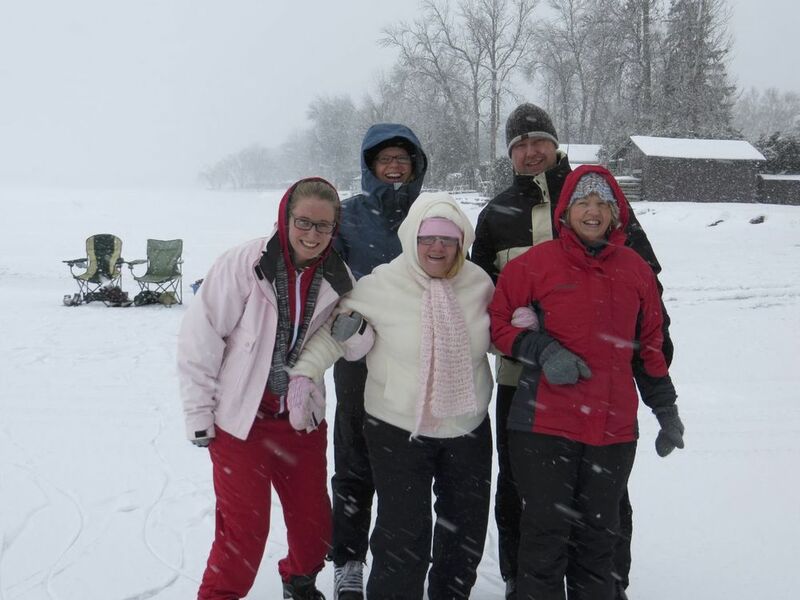 After settling in for a bit, we decided to brave the snow storm that has whipped up, and go out to check the ice. The ice was in great shape (other than where the snowmobilers had ripped it up), and there was only a thin layer of snow on top, which was easy to skate through. 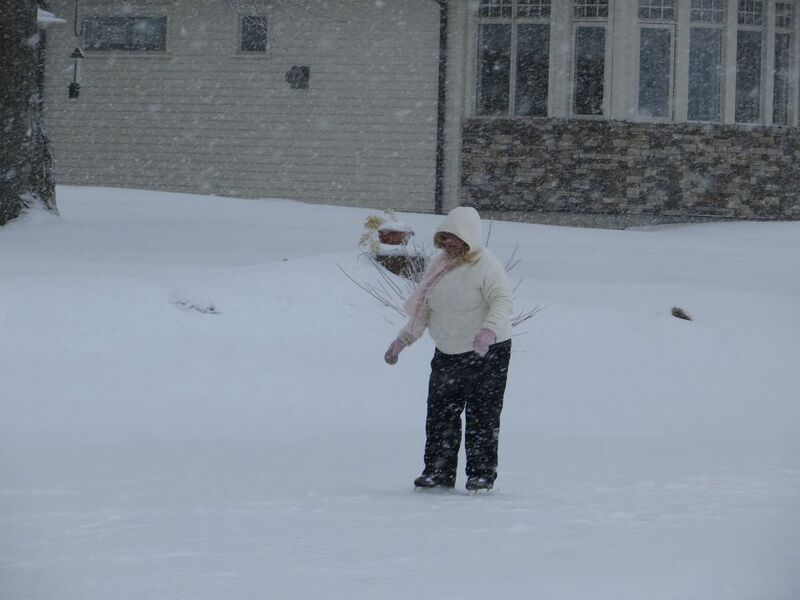 So I went out and skated for a while with Justine, Alex, Aunt Rosie, Lisa, Mom and Dad. It was a great day. it had been way too long since I've skated outside. 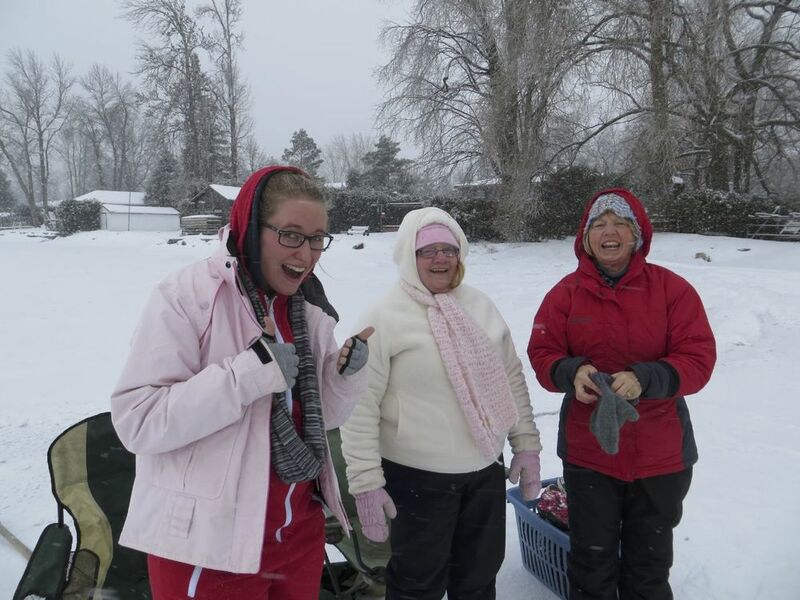 It was pretty cold and snowy, so we didn't last too long it it made for a memorable day. On the Friday after Christmas, we were lucky enough to have Mackenzie and Lane to ourselves for the day. 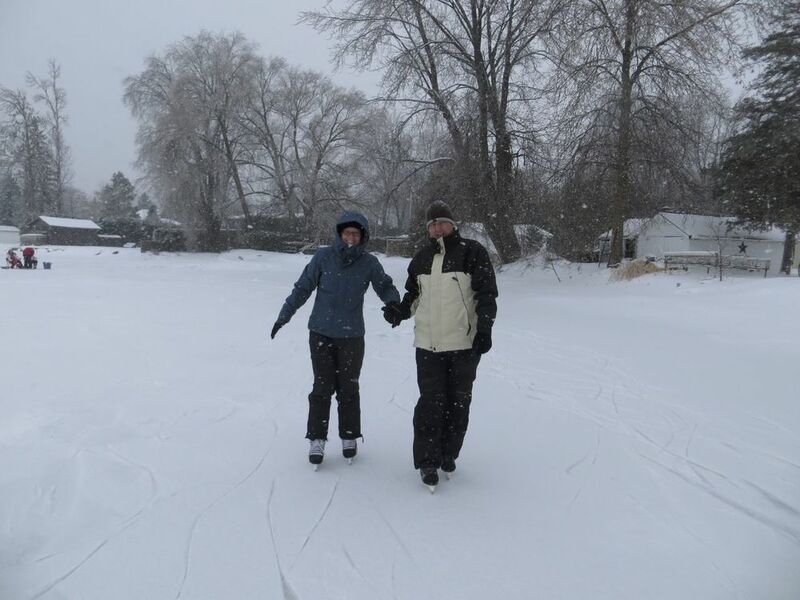 We did all kinds of fun things in the morning, and then after lunch we walked up to the Alton Mill to see if the ice rink on the Mill Pond had been opened. We were in luck, as the guy that looks after it was about half done using the snow blower to clear the ice. Both Lane and Mackenzie had been super-excited all day to do skating, and it looked like we were in luck. 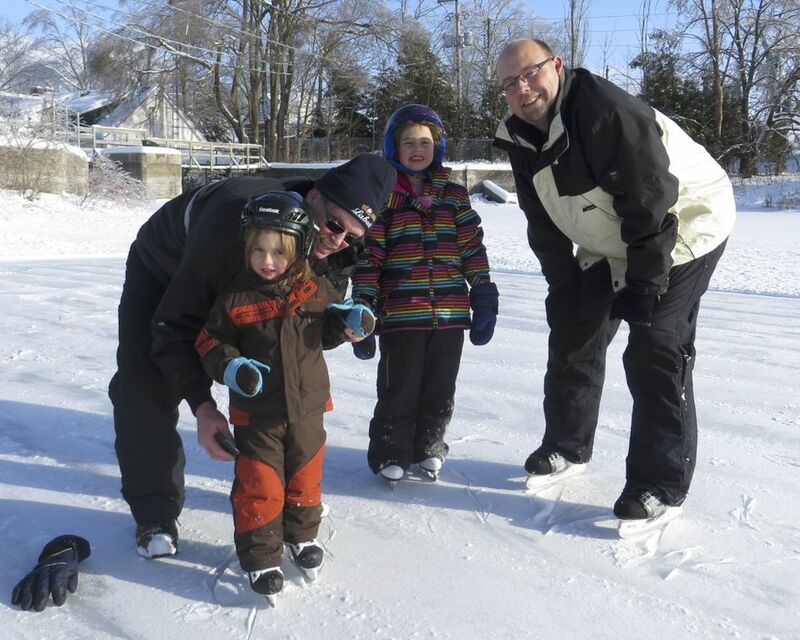 We had to wait a little bit, but before long we were putting skates and helmets on, and heading out on the ice! Lane and Mackenzie excited to go skating! Lane had a bit of a melt down when he decided he didn't want to wear his helmet. But we discovered it was the face mack, not the helmet that was the problem, so that got sorted out OK. For his first time on skates he did really well, and Mackenzie picked up where she left off last year and was going well in no time. 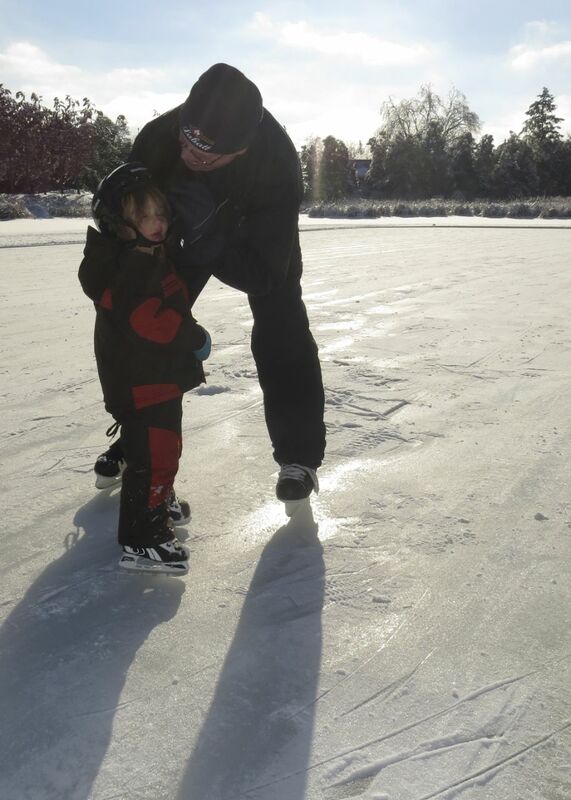 Mackenzie and I heading out on the ice. It was such a beautiful day! Lane lasted a good half hour, which I think was really good, before he had had enough and wanted dad to take him home. Mackenzie lasted another half hour after that, and was doing really well all on her own. We had an amazing day, with lots of sun, and clear blue skies. It was great to get to spend some real quality time with the kids, and have so much fun doing it. Thanks to Justine for taking all the pictures.